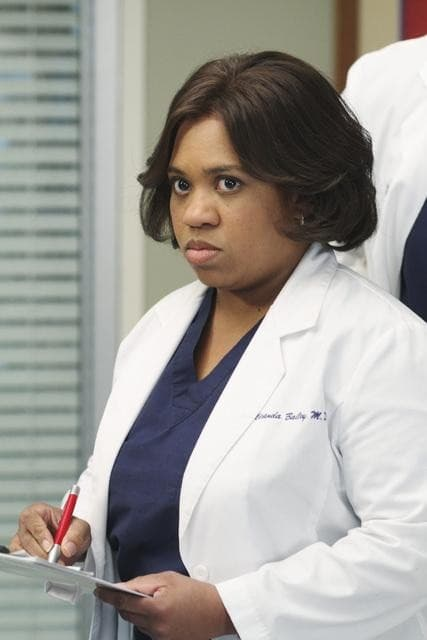 Miranda Bailey in "How Insensitive," the May 6, 2010 episode of Grey's Anatomy. She's never bailing on cases. On the contrary, she's hangin' tough!